In a bowl, whip cream until soft peaks form. Fold in chives and set aside. In a frying pan, melt butter and cook eggs until almost set. 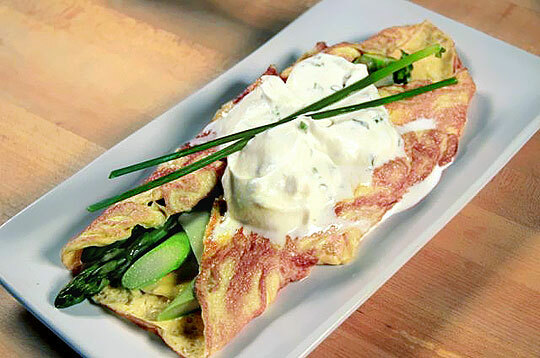 In centre of omelette, place salmon, asparagus and cheese. Fold in each side of omelette and slide onto a plate. Salt and pepper to taste. Top with a dollop of chive cream.